Today is Pi Day! How many people in Cos Cob are working in the Math field? Pi day is important because it helps us to bring awareness to the important role of math and science to Connecticut, the US, and the world! In Greenwich, there are 6635 people employed who are 16 years of age and older according to the American Community Survey. Of that total, 282 are employed in “Computer, engineering, and science occupations”, or 4.25% of the employed population. Of those occupied in this industry, 181 are males and 101 are Females. The average Connecticut town had 6% of their workforce occupied by the Computer, Engineering and Science industry. The average town had 73% of them as male, and 27% as female. Gales Ferry, Connecticut has the highest percentage of their workforce in Computer, Engineering and Science, Coventry, CT has the highest percentage of Female workers of any town over 1,000 workers in CT. Coventry’s percent of male workers in Computer, Engineering and Science is 24.4%, and females have 75.6%. 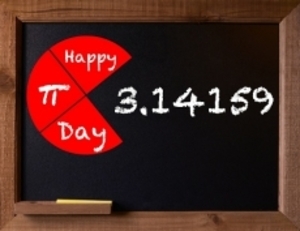 EDUTOPIA, 5-Minute Film Festival: Celebrate Pi Day!